This a brilliant game that’s fun to play on your own or with others. If you’ve ever played bop-it, it’s kinda like that. The phone tells you specific movements to do and using the accelerometer to detect that movement, if you do it correctly you proceed to the next instruction. e.g. LEFT, RIGHT, UP, DOWN, SHAKE, STOP. It’s pretty addictive and a lot of fun. You could do forfeits when you miss, e.g. a dare or a shot if you’re playing drinking games. Whatever, it’s great. 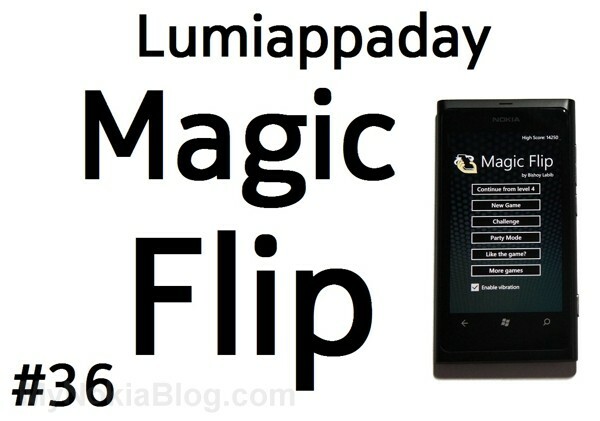 Flip your phone following an increasingly challenging orders like shake, tap, up, down, stop…. An action packed game, full of fun and addiction. Challenge your friends or cooperate with them. Apologies again for the minimalised Lumiappadays. I’m trying my best to keep doing it but I will have to shorten the written versions out due to exams and other commitments.